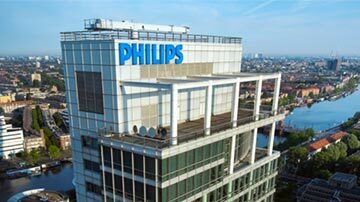 Royal Philips has agreed to acquire US-based vascular intervention and lead management solutions provider Spectranetics for around €1.9bn. Under the deal, Philips will launch a tender offer to purchase all of the issued and outstanding shares of Spectranetics for $38.50 per share, representing a 27% premium to its closing price on 27 June. Spectranetics is engaged in the development, manufacturing, marketing and supplying of medical devices used in minimally invasive procedures within the cardiovascular system. Available in around 65 countries, the firm’s products will be used to treat arterial blockages in the heart and legs, as well as removing pacemaker and defibrillator leads. The acquired business will allow Philips to expand and strengthen its image-guided therapy business group. Spectranetics’ vascular intervention (VI) product portfolio includes a range of laser catheters for ablation of blockages in arteries above and below the knee and AngioSculpt scoring balloon used in both peripheral and coronary procedures. The company also produces Stellarex drug-coated balloon peripheral angioplasty platform, which secured CE mark approval in December 2014. It also manufactures support catheters, which will be used in crossing of peripheral and coronary arterial blockage, and retrograde access and guidewire retrieval devices to treat peripheral arterial blockages such as chronic total occlusions. In addition, the firm’s lead management (LM) product line is comprised of excimer laser sheaths, dilator sheaths, mechanical sheaths and accessories to remove pacemaker and defibrillator cardiac leads. The deal is expected to complete in the third quarter of this year. Image: Philips to acquire vascular intervention and lead management solutions provider Spectranetics. Photo: courtesy of Koninklijke Philips N.V.